(04 May 2017) – Eurostat estimates that in 2016 carbon dioxide (CO2) emissions from fossil fuel combustion decreased by 0.4% in the European Union, compared with the previous year. 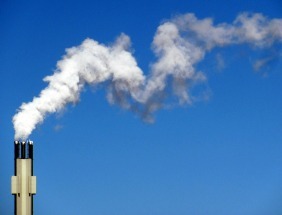 CO2 emissions are a major contributor to global warming and account for around 80% of all EU greenhouse gas emissions. They are influenced by factors such as climate conditions, economic growth, size of the population, transport and industrial activities. According to Eurostat estimates, CO2 emissions rose in 2016 in a majority of EU Member States, with the highest increase being recorded in Finland (+8.5%), followed by Cyprus (+7.0%), Slovenia (+5.8%) and Denmark (+5.7%). Decreases were registered in eleven Member States, notably in Malta (-18.2%), Bulgaria (-7.0%), Portugal (-5.7%) and the United Kingdom (-4.8%).